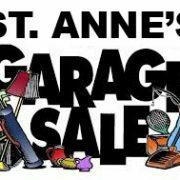 St. Anne’s Garage Sale June 1 & 2: The Youth Group will be hosting a Garage Sale this Spring so start saving your items from spring cleaning! 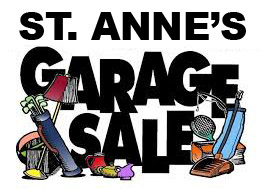 The will need extra volunteers to help with the setup and cleanup. No clothing, electronics such as TVs, computers, phones, etc. Thank you for your support.